CAO-709B is a street bollard that can be used as a bike rack to accommodate 2 bikes. It provides two points of contact between the bicycle and the rack for extra stability and security. Street Bollard CAO-709B is constructed with steel tubes. Steel (STL.) 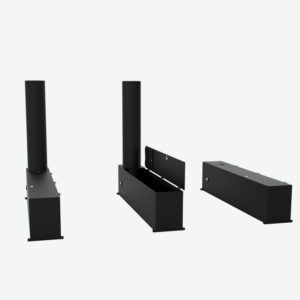 components are electrocoated with anti-corrosion treatment and finished with powder coating electrostatically. 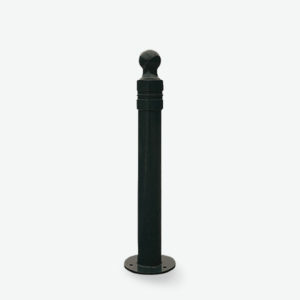 CAO-033 is a classic, circle-top metal bollard. 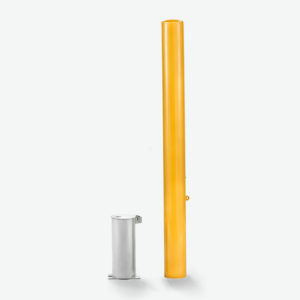 CAO-031 is a simple, smooth, and protective traffic bollard. CAO-031 is constructed with steel. Steel (STL.) components are Electrocoated with anti-corrosion treatment, and finished with Powder Coating electrostatically.